Graft charges against three of the British drugmaker’s senior China executives suggest a top-down culture of bribery. What they really show is a broken healthcare system and a government many foreign groups don’t know how to handle. On both fronts, it’s still business as usual. A Chinese national flag is seen in front of a GlaxoSmithKline office building in Shanghai, July 12, 2013. 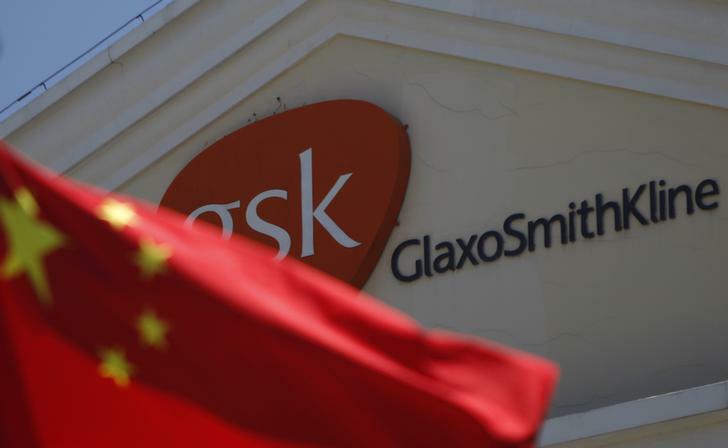 Chinese police said on May 14 they had charged the former China head of drugmaker GlaxoSmithKline Plc and other colleagues for corruption, after a probe found the firm made billions of yuan from bribing doctors and hospitals. Mark Reilly and two Chinese executives, Zhang Guowei and Zhao Hongyan, were also suspected of bribing officials in the industry and commerce departments of Beijing and Shanghai, the official Xinhua news agency reported, citing policy in Hunan province. “(GSK) departments offered bribes to hospitals and doctors as well as personnel to boost their sales. The money involved was in the billions of yuan,” a Ministry of Public Security official told a press conference in Beijing. The charges – which carry a maximum sentence of life in prison in case of bribery – were seen as harsher than many industry insiders and China-based foreign executives had expected. Officials had previously accused the company of funneling up to 3 billion yuan ($482 million) to travel agencies to facilitate bribes to doctors and officials.